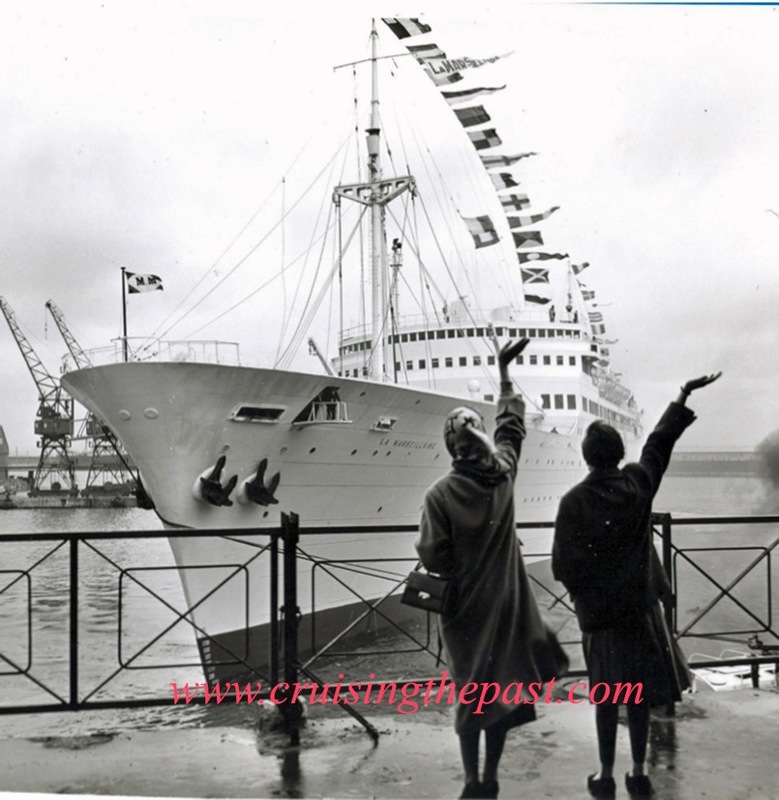 Home / CRUISING THE PAST / WHEN CRUISE SHIPS WERE LINERS. WHEN CRUISE SHIPS WERE LINERS. 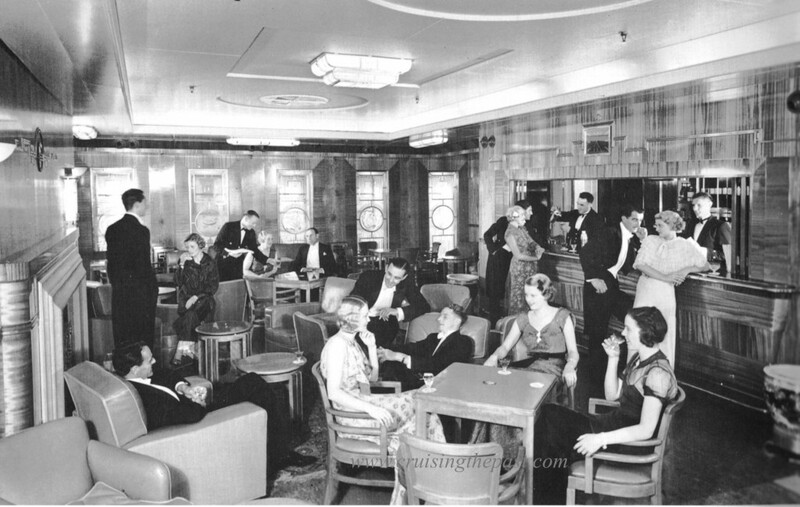 Social History and Cruise History: Scenes from the 1930s and 1950s… when cruise ships were elegant liners. Ships that made liner voyages trans-Atlantic, trans-Pacific, etc. They would “cruise” in the off-season. 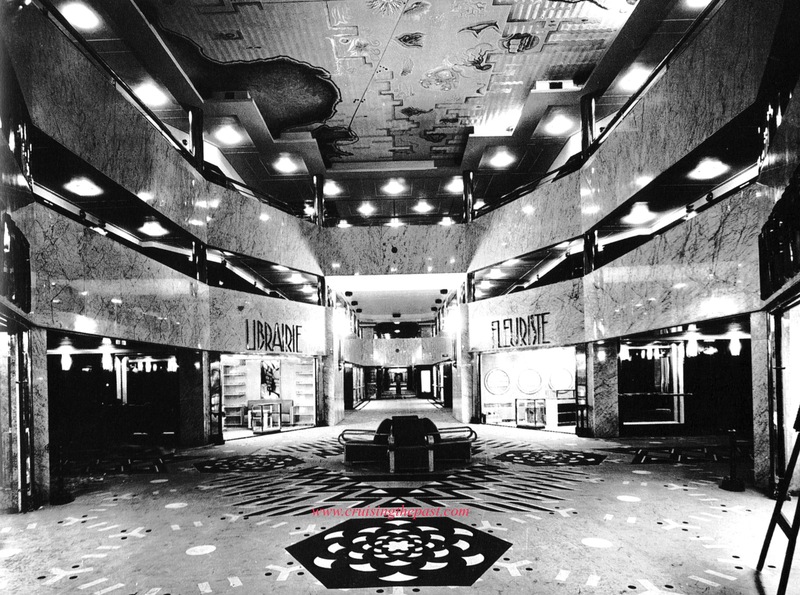 Feast on these photos of sophistication – of a bygone and forgotten era. 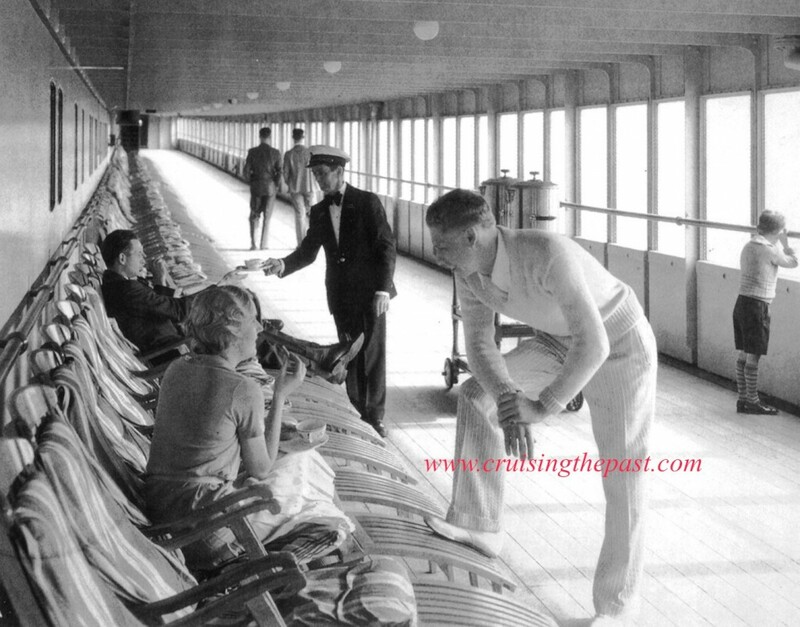 First Class promenade deck aboard the Matson Line’s S.S. Monterey sailing from San Francisco to Sydney during the 1930s. White Tie is in order for pre-dinner cocktails in the First Class Smoking Room aboard the T.S.S. Awatea in the late 1930s as the elegant liner sails the Tasman Sea. The two and half day crossing aboard the Union Steamship Company ship from Sydney to Auckland rivaled many trans-Atlantic liners. Her career was brief; she was sunk in World War 2. The celebrated shopping mall of the SS L’Atlantique. The elegant French Line ship was the largest and most luxurious that ever operated between Europe and South America. Launched in 1931, her career was cut short by a fire in 1933. The mall was extremely modern for the period and wouldn’t look out of place on any of today’s cruise ships. The ceiling has a map of the North and South Atlantic – showing the route of the ship. The French passenger liner SS La Marseillaise is seen arriving in Marseillaise from Vietnam during the 1950s. She was the largest and most luxurious ship operated by by the steamship company Messageries Maritimes. La Marseillaise operated between France and the Far East. The elegant vessel was launched in 1944 in the name of Marshal Petain (who was a French general who reached the distinction of Chief of State of Vichy France during the Nazi occupation). SS La Marseillaise had the distinction of sinking on two occasions, the first time in France before being completed during WW II, and the second time after an explosion and fire off the island of Grenada when she had been sold off for Caribbean cruises. La Marsillaise, like many liners after WW II, had many careers with various names. Previous: Strates Shows, Inc. is the one and only railroad carnival in the United States.